Laguna Property is the property development arm of Laguna Resorts & Hotels, a publicly listed company that traces its history back to the early 1980s, with the land acquisition and resort development of what is now Laguna Phuket, at the time Asia's first integrated resort complex. 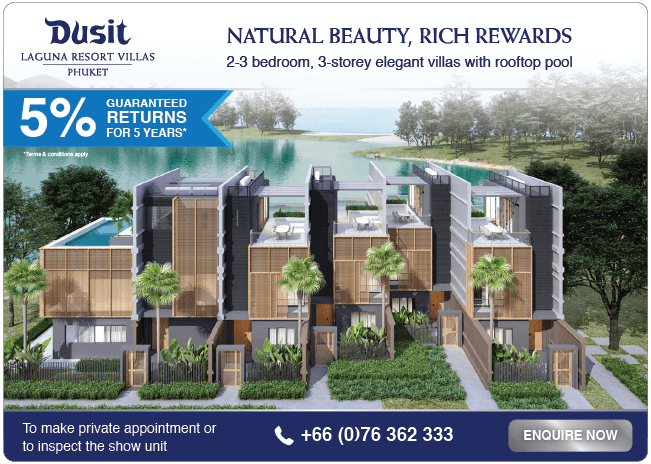 The company has since established itself as the largest and most established property developer in Phuket (Thailand), Bintan (Indonesia) and Lăng Cô (Vietnam). With over 1,200 properties, Laguna Property offers a wide range of residential and investment properties, condos, townhouses, villas, and residences. Laguna Resorts & Hotels PLC. listed on the Stock Exchange of Thailand in 1993 and has gained a strong reputation as a responsible developer whose interests combine hotels and real estate with an emphasis on quality and environmental protection, having received numerous environmental and tourism awards.